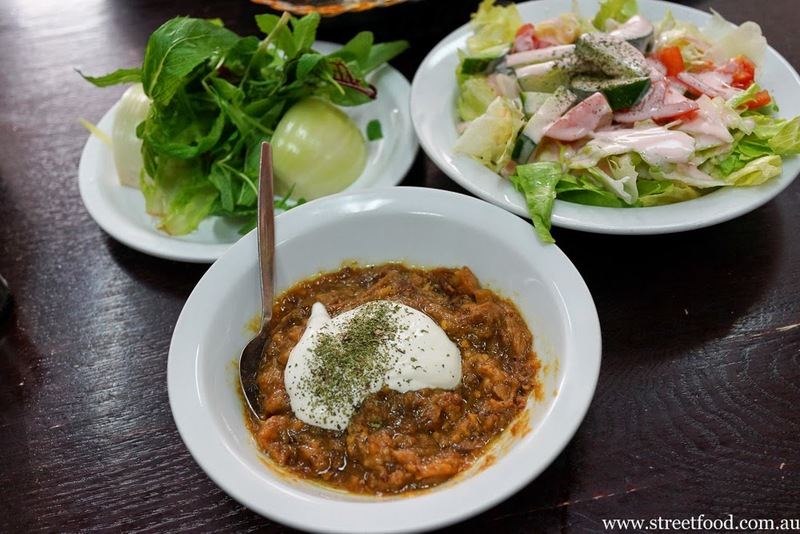 Want to try real Persian food and not sure where to start? 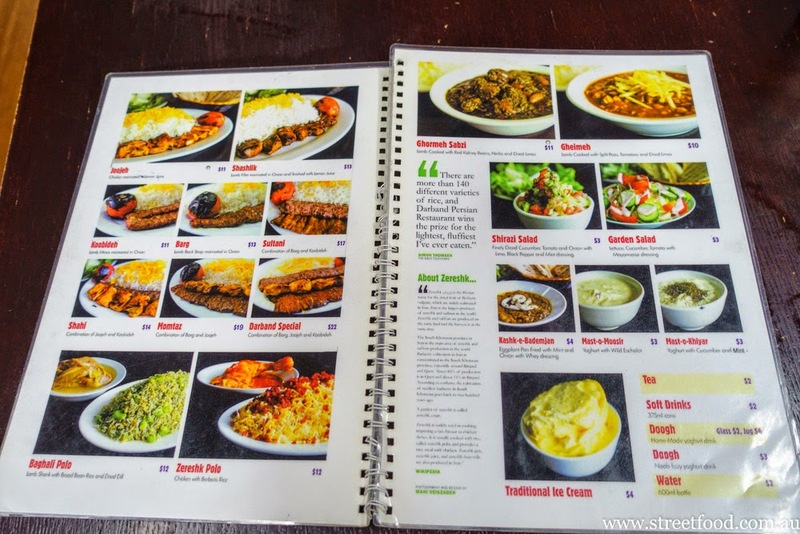 Darband Persian Restaurant in Auburn is an easy pick. It's not flash but it's fancy for a hole it-in-wall joint. Best of all it's full of Persian folks, which means great food and atmosphere. 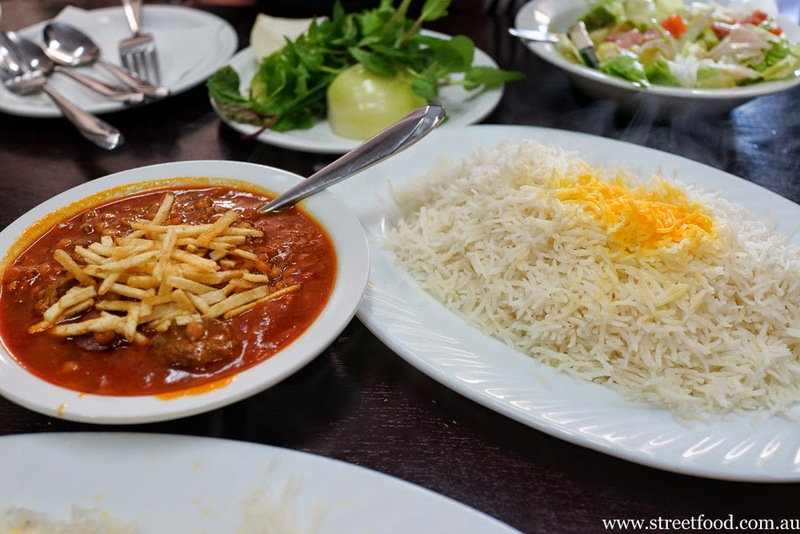 We don't know what it is about Persian folks but Persian restaurants always have a nice vibe, well the ones we've been to anyway. Darband is always busy and filled with happy chatter, we just love being here. The service is fast, the staff are at a near sprint to keep up with the the orders, there's no time for stop-and-chat but we always get a smile and always feel welcome. 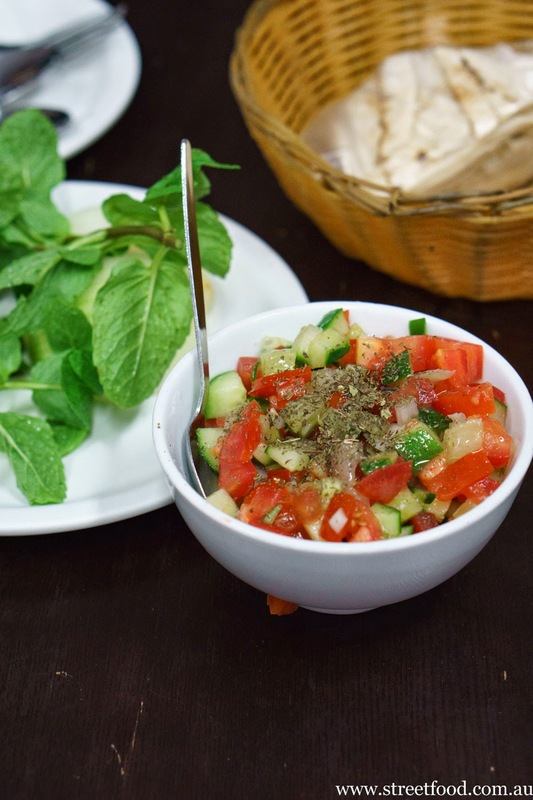 Shirazi salad - $3. Diced cucumber and tomato with a little onion given a zing with lime and pepper. Doogh - $3 per glass\small bottle or $6 per jug. 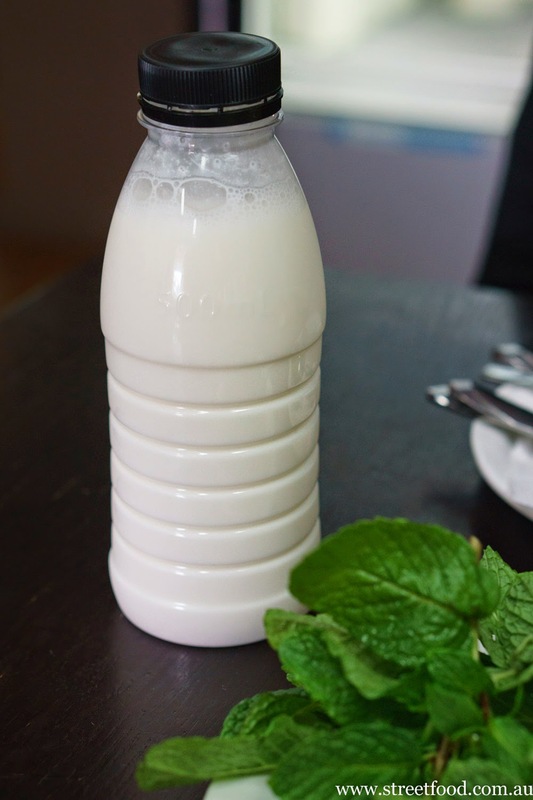 A salty yoghurt drink that has a tangy sherbert-like tingle to it. Wow. 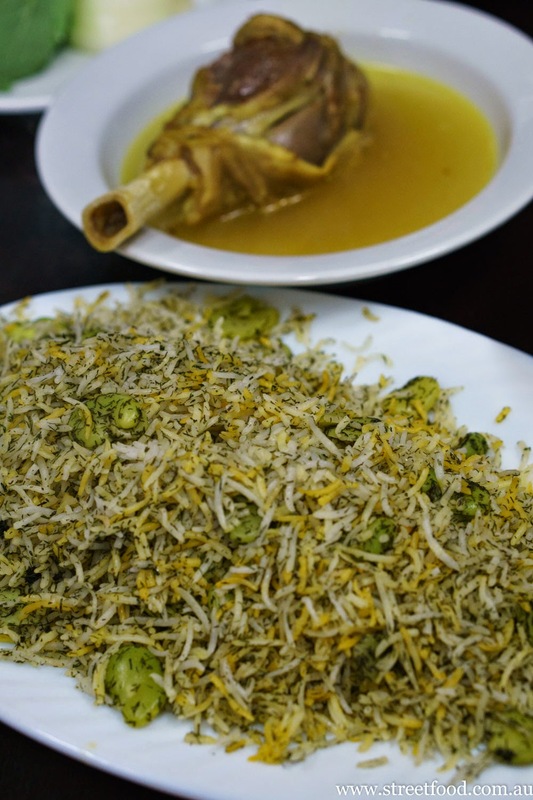 The rice is sensational: the long long long grains of rice are wonderfully light and fluffy. 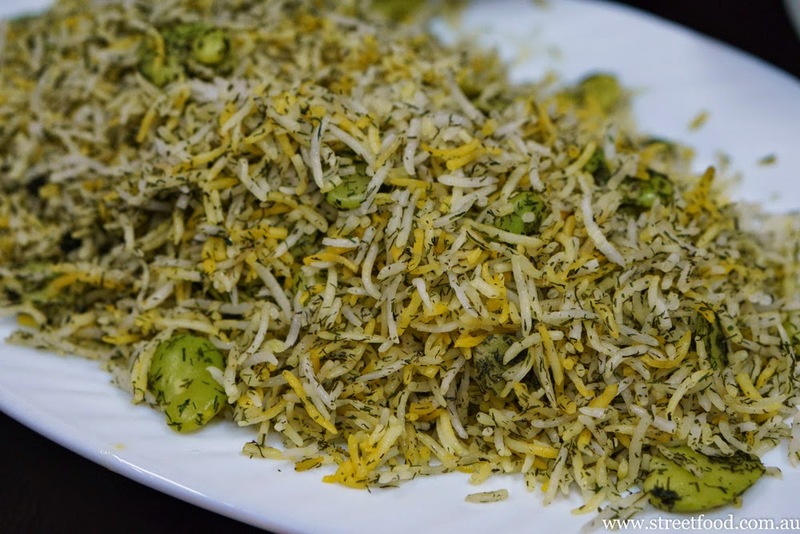 The dill gives the rice a fresh lift. The lamb shank is slow cooked and will fall off the bone with little more than a sideways glance. The lamb isn't overly salted which we really like, and it's swimming in pond of tumeric flavoured soup. 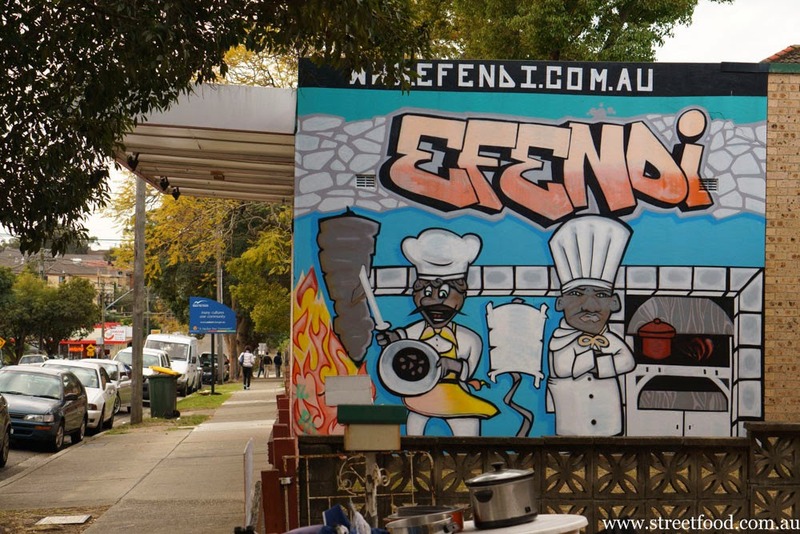 We reckon you could pay $40 for this in Surry Hills. Here it's $12. Shahi - $14. 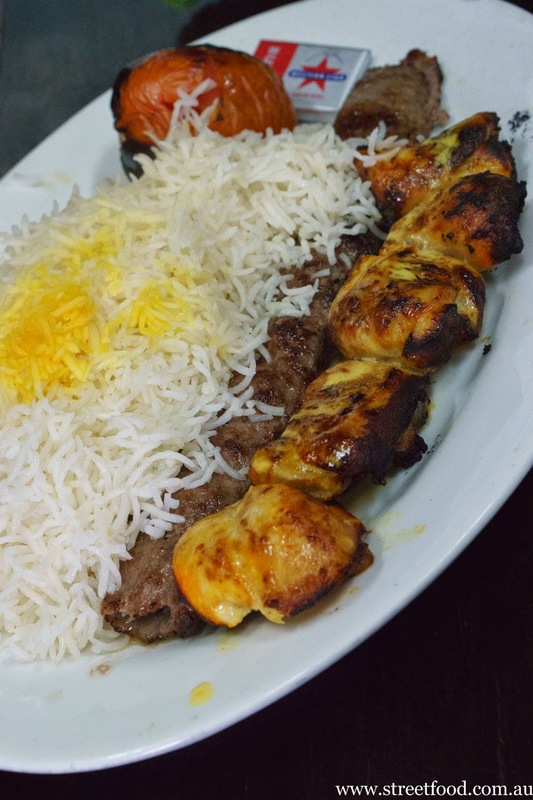 Chicken and minced lamb kebabs on rice. 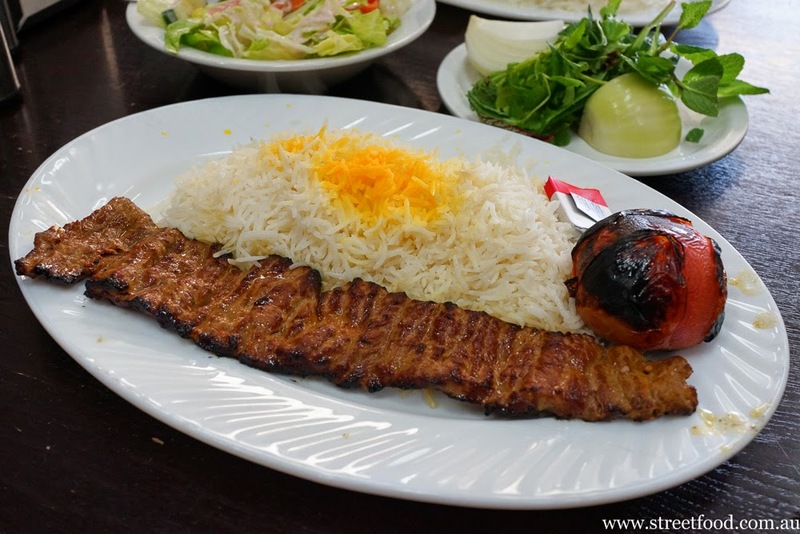 The grills are good and the rice is amazing, light and fluffy as always and served with a good dollop of butter. There's extra butter on the side if you feel the need. Kashk-e-bademnah - $4. An eggplant dip that actually tastes like eggplant, lovely smokey eggplant. To the rear right is a simple garden salad - $3 - lettuce, tomato and cucumber dressed with a sprinkle of dried mint and mayonnaise that's white when you start and pink when finished. Barg - $13. Grilled marinated lamb backstrap. Yes, lamb backstrap. We overheard other diners requesting salad instead of rice with their grill, a good idea if you feel like a light lunch. Ghelmeh - $10. A stew of tender lamb chunks with split peas, tomato and dried limes. The dried limes give it a real zing. The potato chips on top are like those Smiths French Fries that we haven't had since our last visit to a school tuckshop. 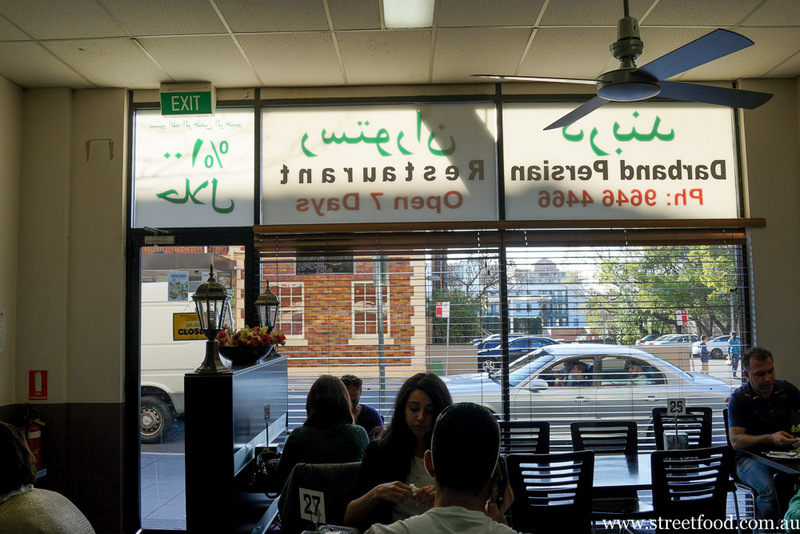 Darband Persian Restaurant is at 9/45 Rawson Street, Aurburn. 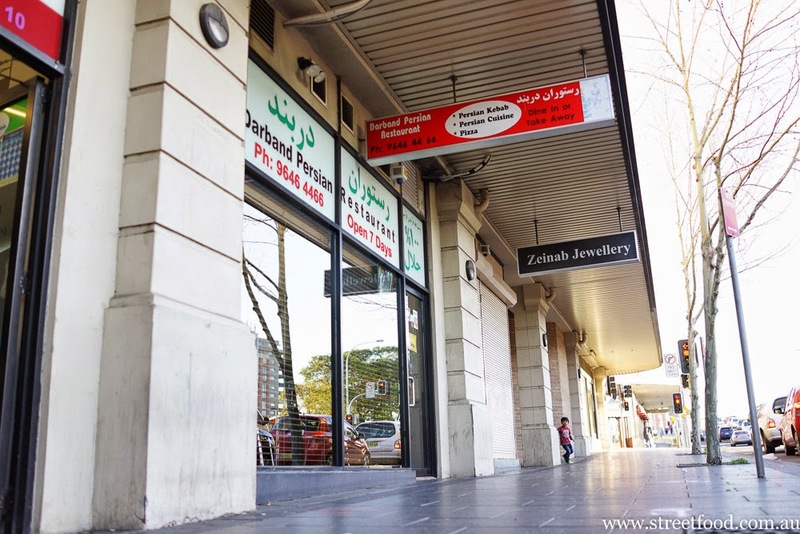 Phone (02) 9646 4466. www.darband.com.au. Just down the road from the restaurant is a hospitality store for all your giant metal skewer and meat on hot coals needs. We just love the graffiti style pic on the side. You could post once a year and I would still follow your blog..I love love love your posts! 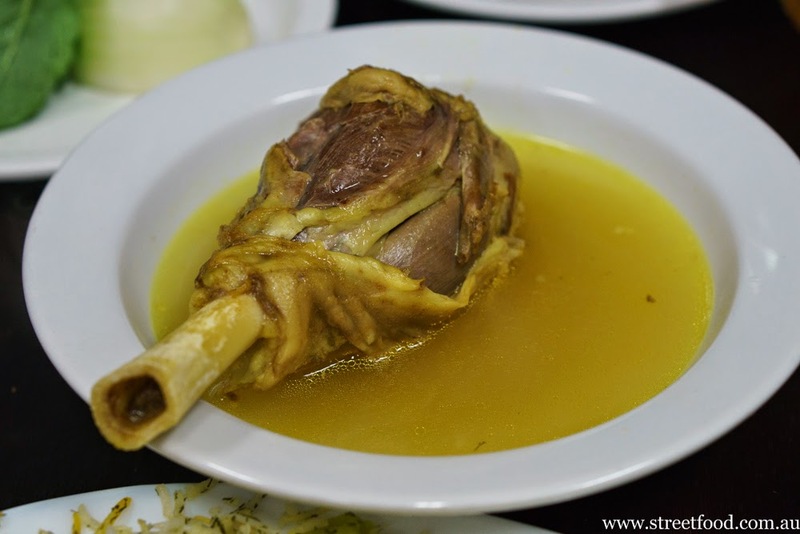 Yes, I said it 3 times, that's how excited I am when I see a new post :) Persian cuisine is one of my favorites, I am craving some of that lamb shank now, yum! You are lucky to live in a city with so many cheap and delicious restaurants...Here eating out costs a small fortune unfortunately. Anyway, beautiful pictures as usual. I don't know how you do it. In restaurants, my pictures always come out really crappy. Thanks Caroline. Shawn takes a lot of care with the photos. The hardest part is sitting and waiting for the photos to be taken before you can dig in and eat! We are so lucky to live in Sydney and all the wonderful places it offers. Our hope is that more people will get out of their bubbles and explore more as well. Another amazing discovery. Thanks intrepid foodsplorers!